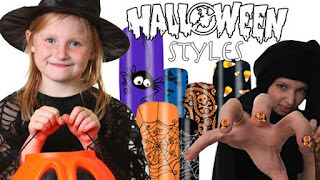 I love to get very festive around the holidays and I am so excited that I found these great nail shields from Fabulous Nails just in time for Halloween. Click here to get yours for FREE with FREE Shipping. All you have to do is sign up (very easy) and you will receive a $10 credit to your account, use your credit on the $6 nail shields which include free shipping. You will even have $4 left over to spend on the next deal! Or if you are already a Savemore.com member get them for only $6.00, that's 50% off... such a deal! Thanks for the follow! I'm following you now. Love these nail stickers! I'm a nail tech and it's amazing what they are creating! Aren't these cute got these today! Following you from Give a hoot BLog hop!